In keeping with the time of the Christmas Season, I am revisiting a theme one of my all time favorite blogs: Haunted Dolls which has well over 400 page views since posted. What prompted my wanting to expand this blog was not only its popular subject and how many people responded to it on such a personal level; but by a recent viewing on the Dolls pages on eBay when I was buying an antique doll head to complete a doll project I've had in the works for quite some time. 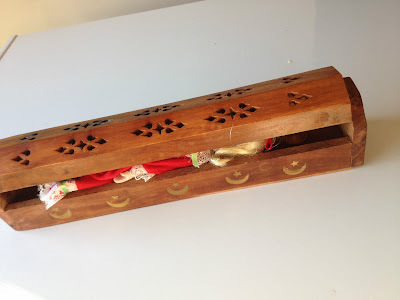 As I mentioned in my blog about haunted dolls I poised the question, "Do previous owners of objects such as: dolls, toys, or other sentimental items attach themselves to it after they pass away? Or do "lost" spirits find the host item through their journey in our world?" Many shared with me their personal stories of how treasured toys and objects either handed down in their family or acquired through buying in an antique store or flea market were sometimes causing paranormal problems in their home. It would seem like the outwardly appearing normal and innocent toys were actually showing signs of the aggression or movement that was explained as having a former owner's spirit still attached to it. And these were brought into their homes unknowingly without prior experiencing the paranormal. They were not looking for any trouble with spirits. So, up on auction sites I found the deliberate selling of spirits- wholesale! 'TIS THE SEASON TO BE HAUNTED! Would you believe there are at this time there are over 785 "haunted dolls " listed up on eBay right now? I am not making this up. It turns out that eBay is full of "haunted" (or cursed, or possessed) items people are trying to get rid of. These fall into two categories: items being sold by the extremely superstitious, and worthless junk being sold by hucksters hoping someone is gullible enough to buy them if they claim it's magic. In the case of "haunted dolls" the sellers claim their clowns, bisque girl dolls, and other toys are actually "haunted" and therefore they are asking for nice sums of money for these otherwise common inexpensive items. And what surprises me is that people are bidding and buying them! Really. What makes someone actually want to buy a reported "spirit possessed" doll, clown or another type of toy on purpose!! Is their desire for an unusual experience of the unknown so important to them that they could possibly risk their mental or physical health or even their lives?! A lot of people are tossing around the word "haunted" on eBay. So many that if you actually want YOUR haunted item to get noticed, you have to convince people that it's really, really haunted. Like, more haunted than any of the other search results. Here are few of the most intriguing and questionable 'haunted' toys on eBay along with sellers descriptions that are short stories in themselves. I've included my take on the particular item. I AM ONE OF THE ORIGINAL PARANORMAL EBAY SELLERS SELLING SINCE 1998! FYI- This is not the doll head I purchased.This doll head is not old bisque doll head but a repro Simon & Halbig (from a mold their Asian doll head series) made in 1983. 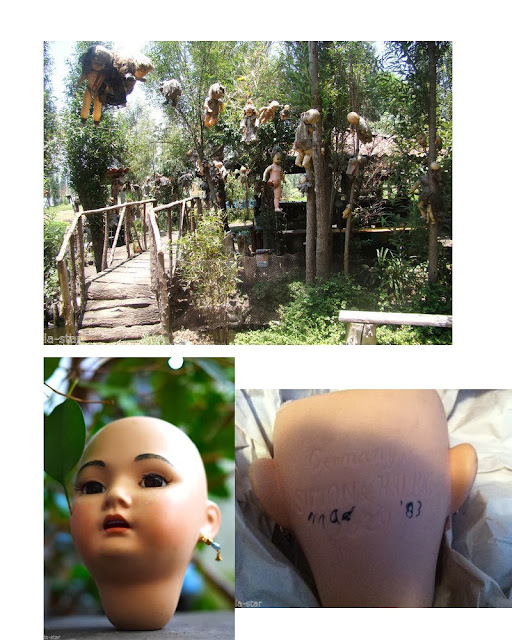 Did the seller dare risk the wrath of the dolls on the island by taking this head off the "doll tree" or just happened to have some doll parts lying around he just wanted to get rid of and sell for a good price. Antique Simon & Halbig heads in perfect condition go for $100-200.00. A few other questions came to mind. Did the little girl who drowned own this doll? Is that how it became haunted? When your friends ask you why you bought something that looks like a rejected prop from a movie and you tell them it's because it's possessed by ghosts, do you expect them to ever talk to you again? "If you have ever purchased a doll from my me you know that many of the dolls and items I sell come from families that are afraid of the spirits in their collections which they receive when they inherit a doll or item from someone who has passed away. I also sell somethings from my private collection. My collecting of supernatural items is endless. Recently this dybbuk box along with this doll was found walled up in the basement of my great aunts home. While remodeling a room down there this was found in the wall where the contractor went to knock down the wall to open up another nearby room. The workers were so scared they did not come back and work until a week later. They were wrapped in an old dish cloth when found What we do not know did this. The contractor brought it up to us and he thought it was very weird. We all knew right away it was a dybbuk box with spirit possessed doll. The bottom of the box is sealed with wax. We thinks it is to keep the spirit from escaping.My aunt, my mom and I just looked at each other. We did not open up the box even though our curiosity was getting the best of us. 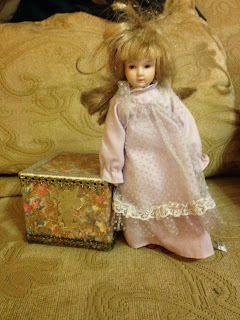 My mom and I took the box and doll with us as we did not want to leave them with a frail old lady it could scare her to death. So we brought them to my house." * If there is a spirit in the box I do not want to let it out so it is up to the new owner to take that risk. Since I deal with paranormal items all the time I know better! Warning! You must be eighteen to purchase this item. Seller assumes all responsibility for this item once purchased. Buyers this is not for children. This is not a toy. Buyers should not be afraid of the paranormal! Buy at your own risk. Whether or not you will experience paranormal activity depends on your aura and if the objects are attracted to you. OK, so you are telling us that you didn't want to scare to death the frail old lady who owned this thing -so you bravely took it from her and brought the "dybbux" box (because they knew it was one - yeah, sure) and doll to your house. Great idea! And now you are selling it for the low, low price of $15.99, evil spirit included. But remember you may not have the right aura or you may not be a spirit magnet-so its your own fault you don't get haunted. In any event, you better be careful bidding on this one, as the seller did warn you, as it'd be downright irresponsible to sell a demon-possessed toy without a warning. And did I mention it comes with free shipping! 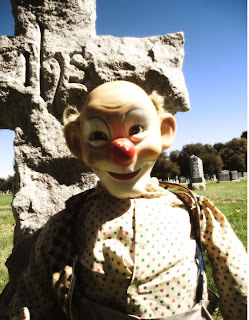 #3 Is This Clown Doll Haunted?? "Ebay I am not stating that this particular doll is haunted, just saying it is similar to one that was.. The heading on this auction is a question not an answer". I am not psychic by any means. I just get a weird feeling. I don’t believe that there is any danger, but I guess it won’t hurt to take precautions. .Description: 31 inches tall The body is firmly stuffed muslin. with wire armature. Made in the 1940’s or 50’s. This clown doll looks to be ALL original. The clothes are a little tattered, the right hand needs mending and there are a wire protruding from each foot ( not sharp). Are all these clown dolls haunted or just the one I sold in 2002? Was the place where these dolls where made, built on sacred ground or a cemetery? These dolls are a mystery in themselves. Shipping for this doll -$ 25.00 Plastic wrapped for your safety. Don't be fooled about with this benign looking, OK-creepy thing, I'll call him BOZO the Clown, (quoted the auctioneer,"He felt might be haunted") because he had another clown doll that was sold and that was reportedly turned out to be a now famous possessed clown. To emphasis that this clown may be haunted, check out his backdrop of the tombstone and cemetery location. It sure doesn't sound like something you'd want to willingly shell out the 400 bucks he's asking for it. The only hazard I can see owning this doll is getting tetanus from the exposed dirty wire protruding from his foot. But BOZO doll comes with a fail safe: That plastic bag it's wrapped in. Yes, the plastic bag could be only thing stopping BOZO from wreaking all kinds of Child's Play-style havoc because evil clown dolls are notoriously thwarted only by a quarter of a millimeter of plastic. 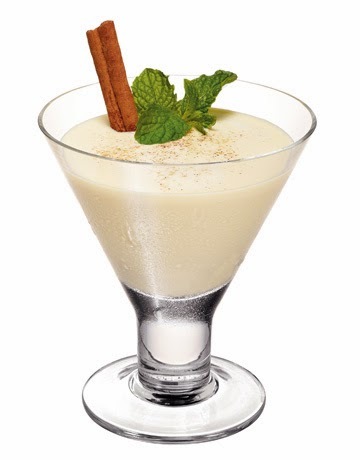 During this holiday season the only spirits you want to have present in our home are love, peace and joy. So stay away from these cheesy auctions, keep your money and just add some spirits to your eggnog! CHEERS!